we even went to one pub that we hadn’t been to earlier in the year but it made a nice loop of around 15 miles. 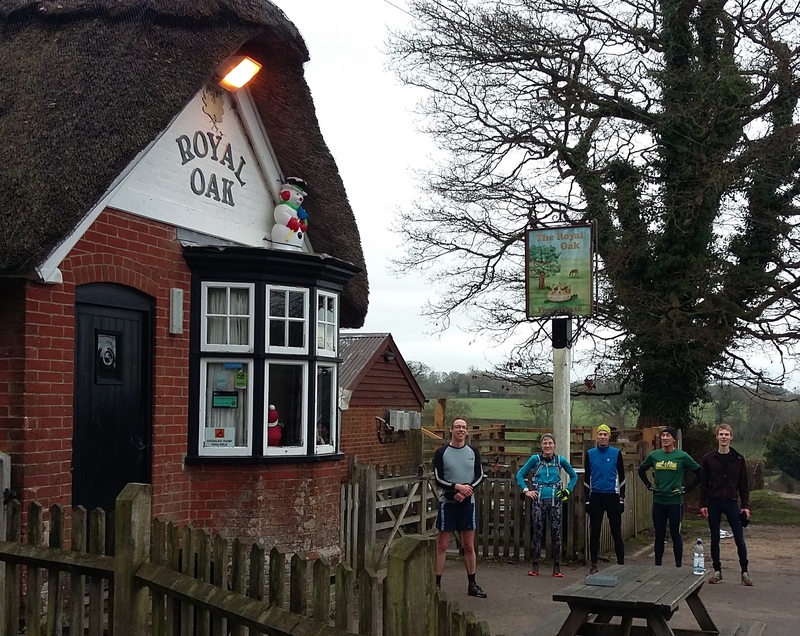 Unfortunately, the heavens opened towards the end of the run but it made warming ourselves by the fire at the New Forest Inn all the more pleasant! 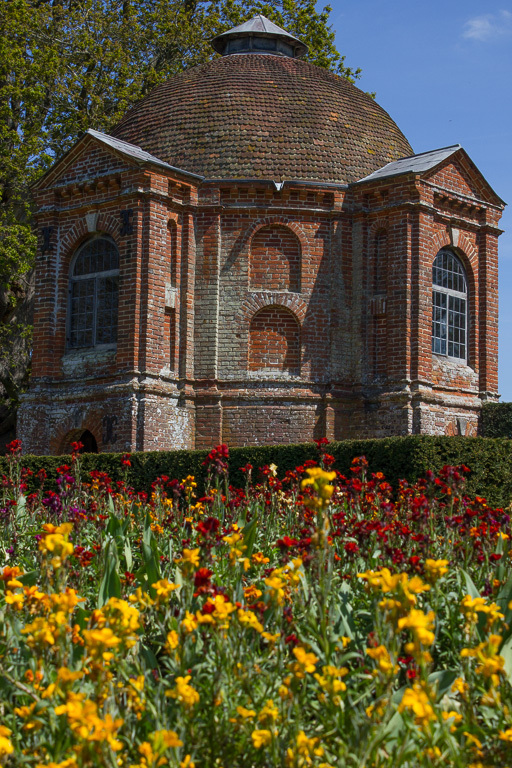 We went over to The Vyne yesterday to meet up with friends. Unfortunately it turned out that the playground there is closed until 13 February but there wasn’t too much complaining from the children. 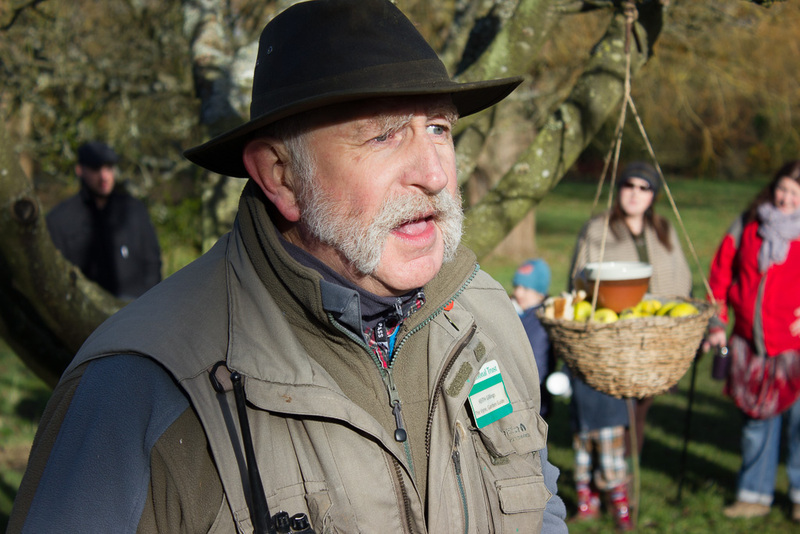 Whilst everyone else had lunch, Duncan and I joined one of the gardeners for a spot of wassailing to assure a good crop from the orchard. This involved drinking cider (at least for me) in a toast to the tree, placing toast soaked in cider around the tree (to encourage the birds to come and eat any pests), making lots of noise (to ward away the evil spirits), and party poppers (which left the tree suitably decorated). After lunch we wandered around the lake and up in to the woods. Remarkably 20 month old Alice insisted on walking the whole way until she finally fell asleep within sight of the car park. The summer holidays are now in full swing. 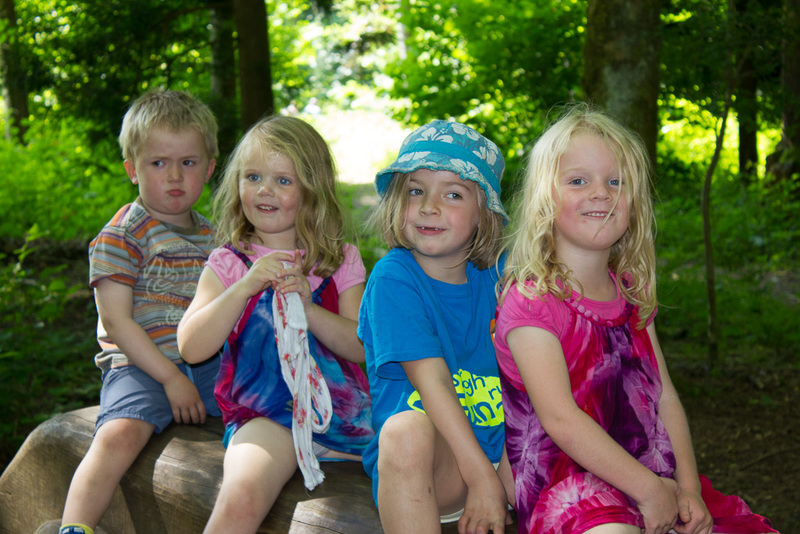 Christine and her Mum took the children to try out the latest summer trail and new wild play area at Mottifsont yesterday. Today, I got to join in the fun as we joined friends at the Look Out Discovery Centre, near Bracknell (familiar to many orienteers as the base for many a Star Posts event). We’ve not been in to the Look Out since it gained the Discovery Centre suffix but were suitably impressed as it packed a lot in to the small space. Indeed, despite having many of the same exhibits as Intech, they seemed to do a much better of providing short explanations suitable for children. The children particularly liked the ‘Build it’ exhibit and spent ages winding tiles up the conveyor and then sending them straight back down the chute! We probably also benefitted from the sunshine keeping the hoards outside. 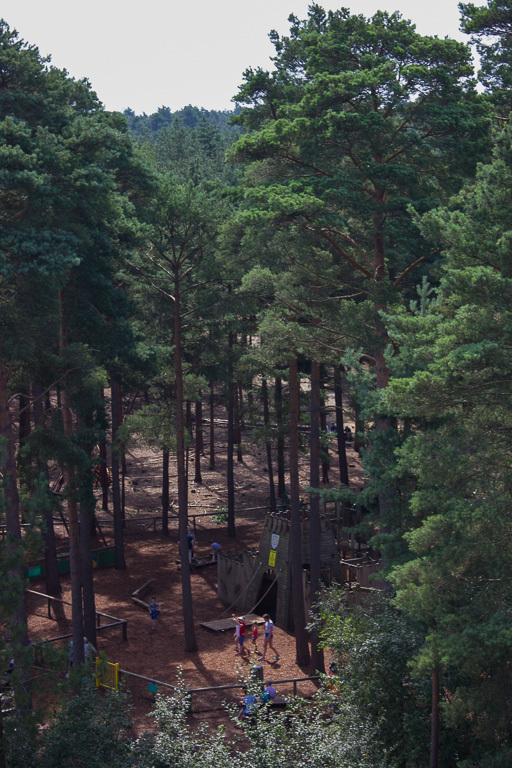 Despite being there for nearly six hours, we didn’t make it further in to the forest than the playground. For the second time this year we headed over to the National Trust’s Vyne Estate just the other side of Basingstoke to meet up with friends. As on our previous trip we were treated to lots of sunshine although there was a bit of a nip in the air for the first half of the day. There is plenty to keep the kids amused whether it is the sculptures scattered around the grounds, relaxing on deck chairs on the lawn, counting (toy) rats in the rooms of the house, the bird hide, or the imaginative playground. This time we also wandered a bit further in to the woods and enjoyed the bluebells and building dens. Last week we had the pleasure of another weekend in the company of Andy, Nat and family. We met up at the SOC Summer Series event at Hursley. Nat had first run whilst Andy took the girls round the yellow and I went with Duncan. At least that was the plan. Duncan was quite upset to be going round ‘on his own’ and did his level best to keep up with the others, until they ran in with Nat at the end. Andy and I then battled it out on the Light Green where I made the most of the home advantage. I don’t run round the site very much and it reminded me how lucky I am to work at such a beautiful location and how I really should make more of it (more play, less work!). Christine joined us after her University open day and we lazed around in the sunshine before relocating to the back garden and the paddling pool. On the Sunday, Andy and I ran up to Farley Mount where we met up with the others, playing in the woods. The combination of the heat and an abortive attempt at all sleeping in the same room meant that the children’s tempers were a little short but everyone still looked to be having fun. We waved them on their way to Exeter, not knowing when we’ll see them again. Such a shame that there are usually 10,000 miles separating us! Last weekend we’d decided to go to the Midsummer on the Gower orienteering event, persuaded Christine’s parents to go, and persuaded our visiting Australian friends and family to meet us there. Needless to say, the forecast for at least the first half of the weekend was therefore rain and strong winds. All the more fun given that we were camping! Our new tent (Vango Halo 400 – a lot lighter and quicker to pitch than our monster holiday tent) stood up to the challenge though and there was always the in-laws campervan to retreat to in search of a solid roof and walls. The Saturday’s event was a fun 2×2 relay on nearby Whiteford Burrows. It was a bit of a trek down to the start for the kids but, after a slow start, the children were all eventually playing together. Christine and I formed a team. I quite enjoyed the short loops round the dunes and we finished in a respectable fifth place. 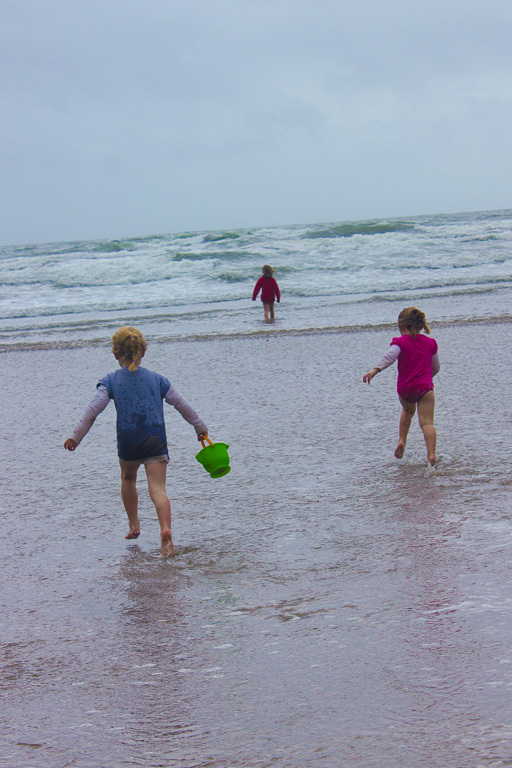 Unfortunately the rain returned in force as we returned back to the car but had abated again by the time we arrived at Rhossili where we regrouped with Andy, Nat and family and headed down to the beach. It was a bit windswept but in the shelter of the cliff we had fun building a sandcastle and the girls tested out the temperature of the water. On the Sunday, it was another short drive to Broughton Burrows. 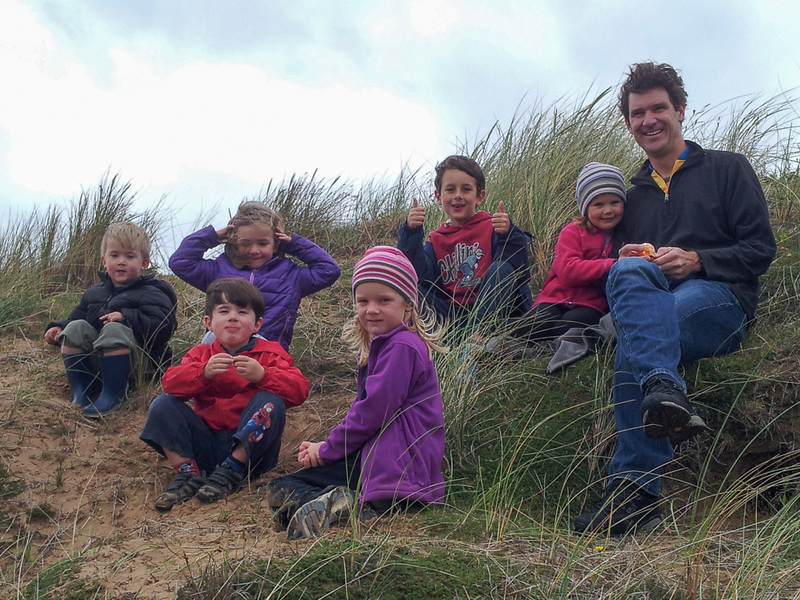 Christine and Nat ran first so Andy and I took the children up in to the dunes along with Vanessa and her two. The children had great fun taking it in turns to race up the dunes. And then when they were done with the sand, there was always the children’s playground handily located next to the car park. I had a reasonable run. Not particularly fast through the terrain and my routes could have been more direct but no great mistakes either and I had my second fifth place of the weekend. It was great meeting up with Nat and Andy again after so many years. It was the first time we’d met Ella and Katy and, being much the same age as Emma and Duncan, it was lovely to see them all playing together. Through their blog, I felt we already knew them so well (and you can find out what they thought of the weekend there!). We’re looking forward to meeting them all again before they head back to Australia. From Monmouth, we relocated to Buckland Hall for the wedding of our university, orienteering friend and one time IBMer Hedley Proctor to Lisa Dawe. Buckland is a suitably imposing country house on the edge of the Brecon Beacons and the following morning we woke to beautiful views across the River Usk to the snow topped hills beyond. In keeping with the bride and groom, the hall is a vegetarian establishment. Thankfully it was vegetarian food done well and we were well catered for throughout the weekend. As best man, I was privy to the big secret for the weekend. The rings would be delivered to me during the ceremony by barn owl! The owl had its own plans once freed of the rings and took a tour of the room, taking in the photographer’s head amongst other stops. After the photos, we were then treated to a display outside included the owl, a hawk and a falcon courtesy of Hawksdrift. I particularly enjoyed the part where Hedley was chased down by one of the birds. There was, of course, the small matter of a speech to give as well. It seemed to go reasonably well although it remains to be seen whether Hedley will talk to me again! 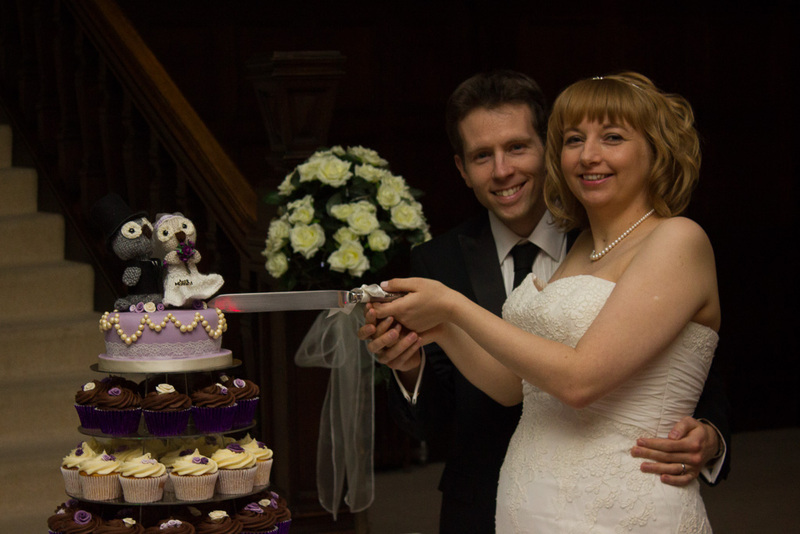 Hedley and Lisa made a lovely couple and we wish them the best for their future life together. * WPG2 Plugin Not Validated *We had visitors last Saturday and made a trip out to what I shall always know as the Owl & Otter Center but which is now called the New Forest Wildlife Park. It’s actually the first time I’ve been (despite having used the car park for numerous RR10 events). The owls and otters are still present in force but there’s a good selection of other animals to see from ferrets and foxes to bison and, the most recent addition, wolves. (It’s based in the New Forest obviously rather than containing wildlife representative of the Forest!) The highlight had to be the over friendly deer which, having nibbled my shoelaces proceeded to give the edge of someone’s silk dress a good chew much to their distress! Everyone seemed to enjoy themselves but I’m not sure I’d rush back. The following day, Christine was off visiting a friend and I took the children off to Manor Farm. We topped up our buckets with bird seed as usual although there seemed to be few in evidence in the farmyard. Duncan seems particularly wary of the animals. At one point he let out a prolonged ‘oooooooo’ which transformed in to a scream as a hen approached him. After a picnic we headed down to the playground in the park which was advertising some new equipment. Some was a bit dubious. There was one triangular piece that wouldn’t have looked out of place on a dog agility course which Duncan seemed to love as it had carpet inside and mirrored walls! There is a fantastic new swing though which is a very thick rope suspended from something resembling a Newton’s cradle which seats/stands about 10 children. After about 10 minutes of watching, Emma eventually deigned to get on. She didn’t stay on for long though!